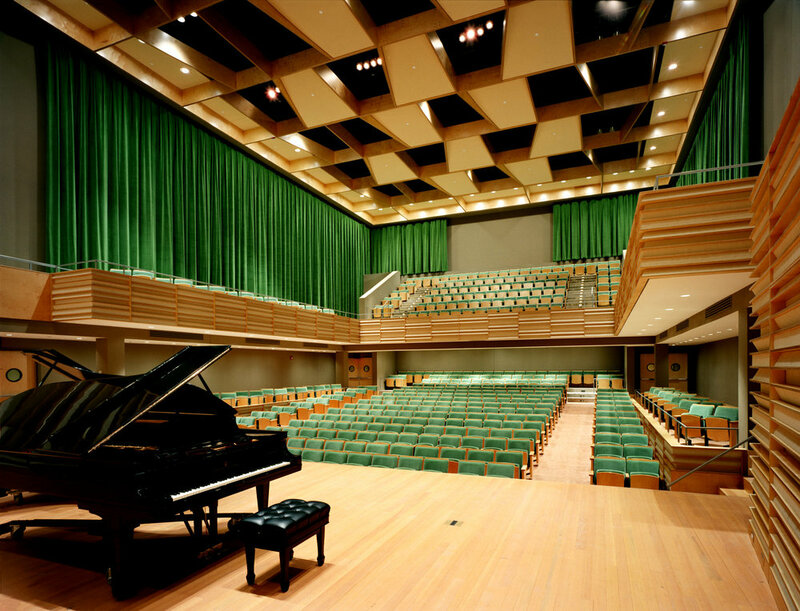 The Juliet J. Rosch Recital Hall is a 500 seat, state-of-the-art concert space complete with backstage, office and administrative areas. Achieving outstanding acoustical quality was the primary goal of this project. The walls and ceilings of this theatre are clad in 1,400 acoustical panels that are supported by a wood grid. The panels give the walls a richly textured surface that modulates sound quality. Acting as both decorative and functional devices, the panels reinterpret the use of elaborate ornamentation which was typically used in older theatres to temper sound. 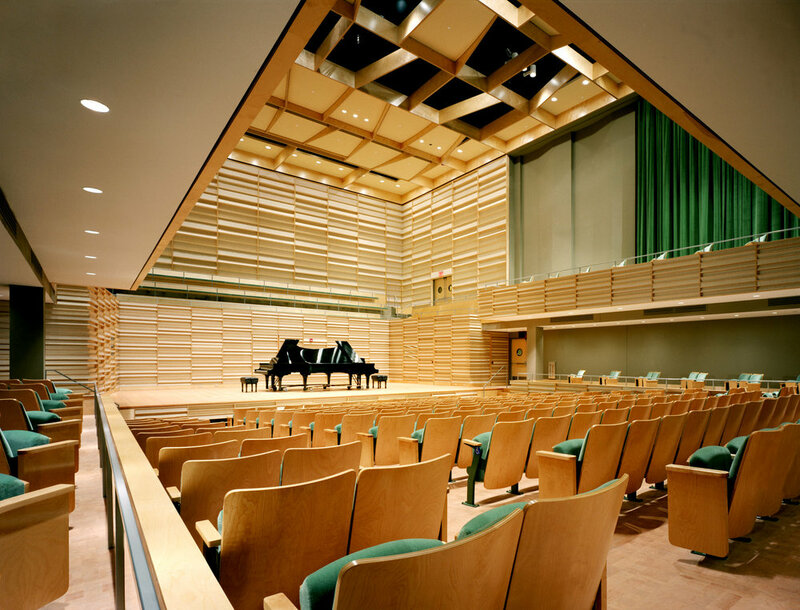 The concert hall also features elegant finishes and details such as wood flooring, wood theatre seating with green upholstery, green velvet curtains and paneled stage doors. The theatre was designed to accommodate a wide range of musical performances and events. Curtains behind the panels can be opened or closed to change the aural environment according to the need. The theatre is also equipped with an overhead screen. Lighting is recessed in the ceiling panels and the lighting system is connected to a state-of-the-art dimming system. 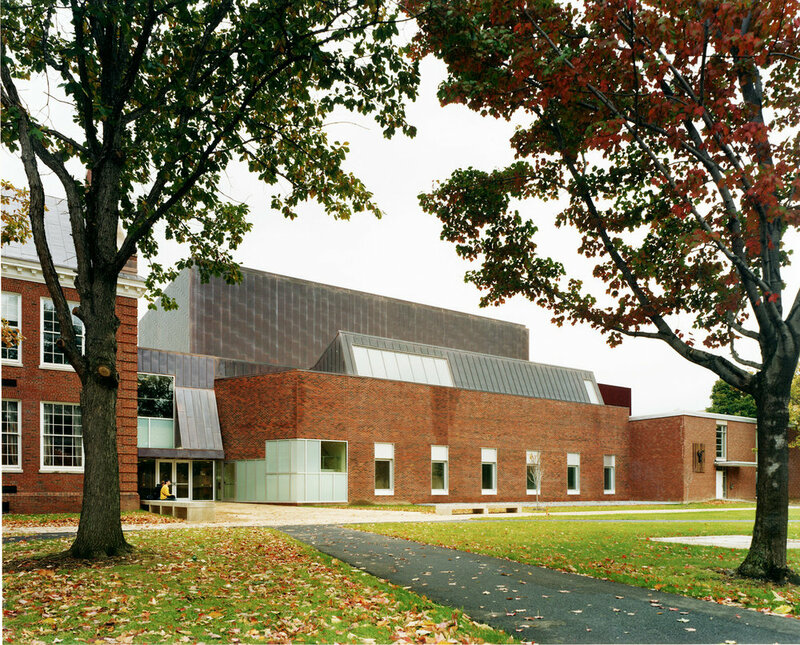 In addition to designing the new concert hall, PKSB designed new classrooms and a recording studio. PKSB also completed the historic restoration of the exterior of Mason Hall, the oldest building on campus. Windows were replaced, a new copper roof was added and the masonry surface of the 1931 structure was cleaned.